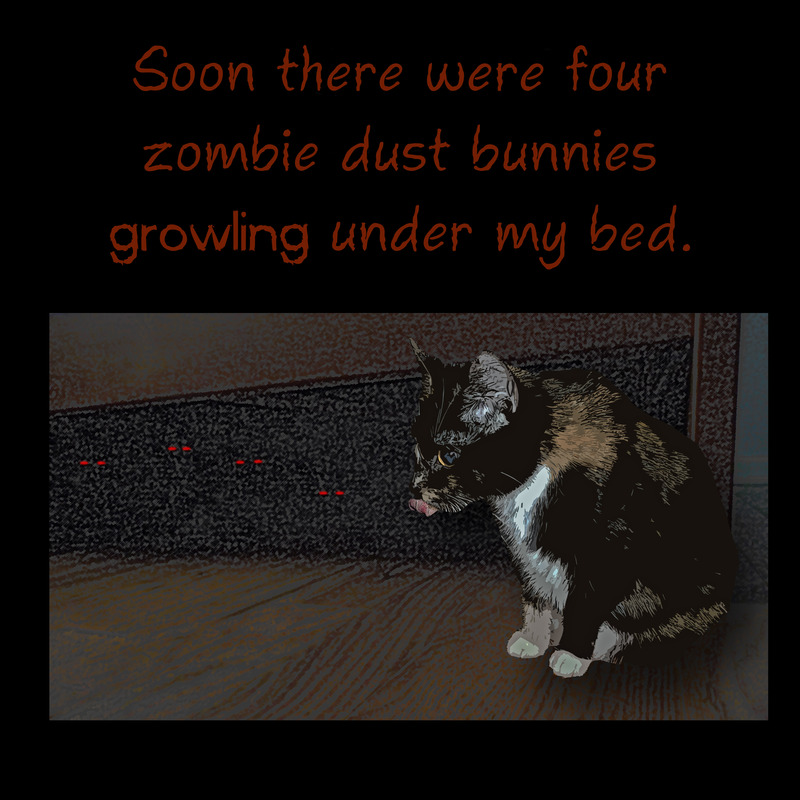 Sneak Peek of Zombie dust-bunnies! 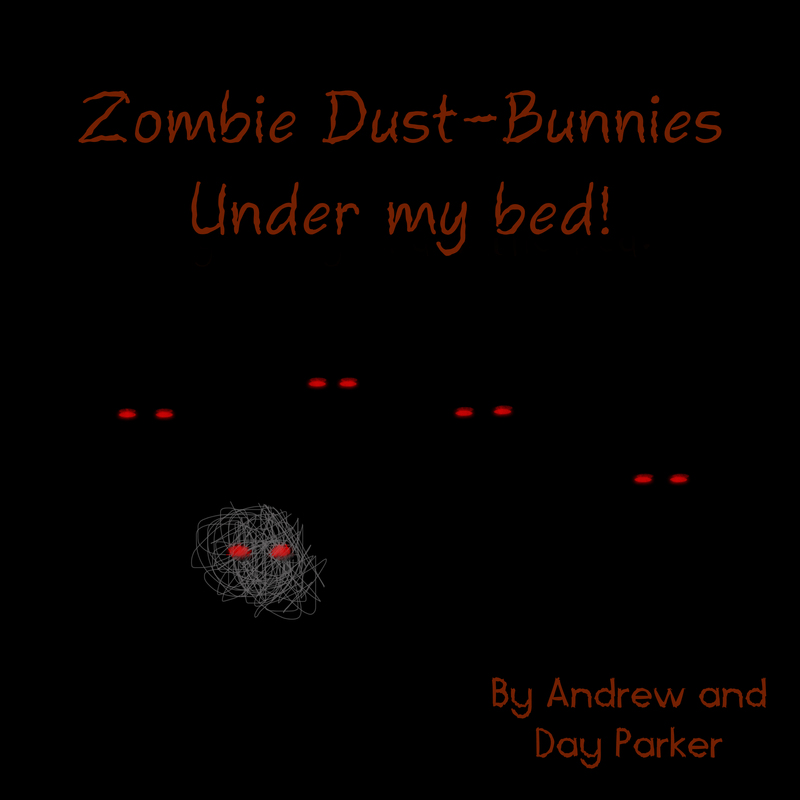 Zombie dust-bunnies under my bed! It is complete with funny sounds. The cover and pages 4, 12 and the back cover. “What are you scared of? I’m right here,” is my response. “Really?” I am now laughing so hard tears are coming out. I came up with an idea right then. 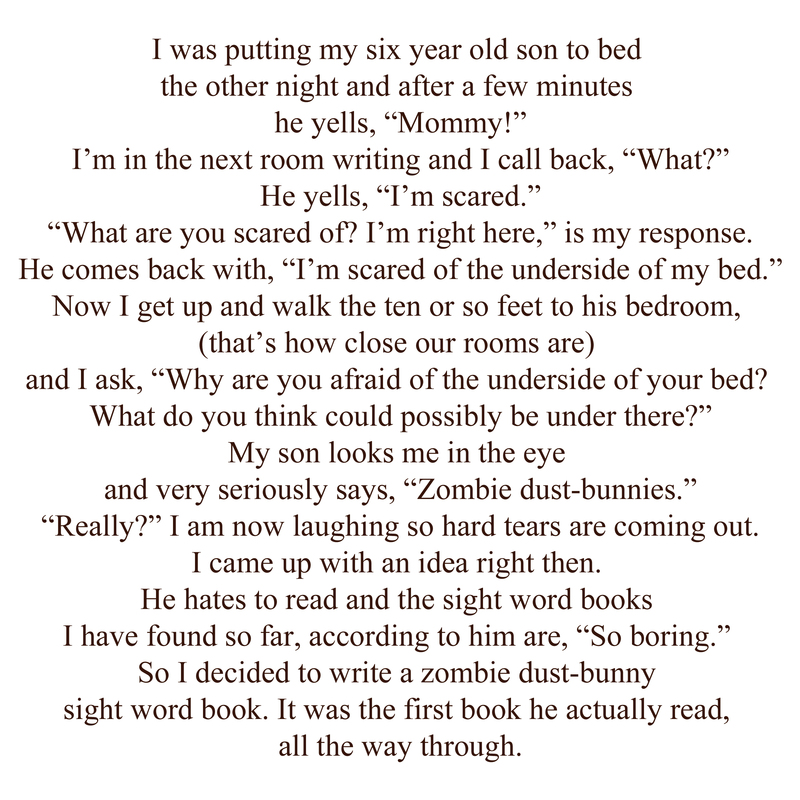 He hates to read and the sight word books I have found so far, according to him are, “So boring.” So I decided to write a zombie dust-bunny sight word book. It was the first book he actually read, all the way through. Amazing! He can read! It is astonishing what can happen when you cater to the individual child and their interests.